Cannon County Sheriff’s Deputy Mike Smith was dispatched to3981 Big Hill Rd.,Liberty, on April 15. A neighbor reportedly overheard screaming and hollering next door to her residence and she thought someone had been kicked in the head. She said fighting had occurred at the residence before. Deputy Smith along with Deputy Brandon Gullett arrived at the location and started talking to Demetria Leath and her husband Jason Leath. Both parties had assaulted each other with scratches and bite wounds to the arms and face. Demetria said she went to her son’s room and started yelling for help and Jason grabbed her and drug her to the floor and pinned her to the floor by her head. She said she opened the window and jumped out and ran to her mother’s house. 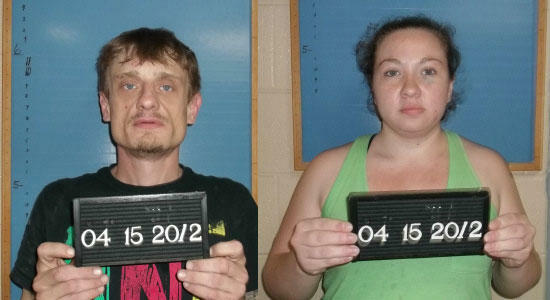 Both parties were arrested for Domestic Assault and booked at the sheriff’s department under $2,500 bond. Their initial court date is May 1.